Learn extruder techniques using polymer clay to create a beautiful extruder bead necklace. This workshop will teach you to how to use an extruder tool to create interesting details and effects when using polymer clay. 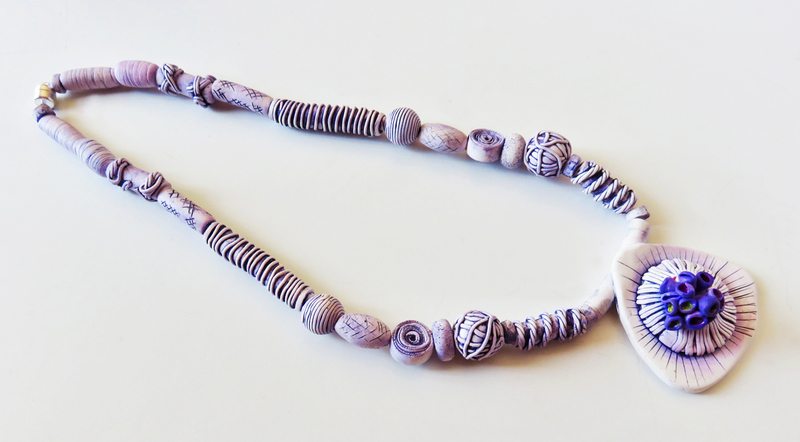 An exploration with strings of clay, texture and twists for organic beads to form a stunning extruder bead necklace. Polymer clay tools, extruder and pasta machine if you have one. The emphasis on the day is that you experience the pleasure of learning a new skill in a relaxing environment.